The field of ancient Greek ethics is increasingly emerging as a major branch of philosophical enquiry, and students and scholars of ancient philosophy will find this Companion to be a rich and invaluable guide to the themes and movements which characterised the discipline from the Pre-Socratics to the Neo-Platonists. Several chapters are dedicated to the central figures of Plato and Aristotle, and others explore the ethical thought of the Stoics, the Epicureans, the Skeptics, and Plotinus. 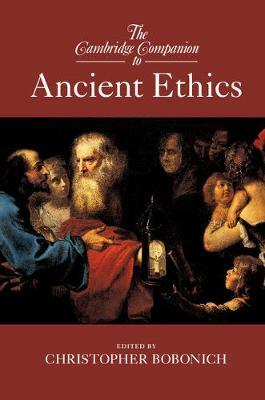 Further chapters examine important themes that cut across these schools, including virtue and happiness, friendship, elitism, impartiality, and the relationship between ancient eudaimonism and modern morality. Written by leading scholars and drawing on cutting-edge research to illuminate the questions of ancient ethics, the book will provide students and specialists with an indispensable critical overview of the full range of ancient Greek ethics.